The beauty of how a blog works is really bitter sweet. A blog is dynamic page that is updated with the newest (most recent) content first. This contrasts a static page such as a landing page or an about us page which displays the same information all the time. A dynamic blog is a beautiful thing in that new content is shared and updated regularly. So, your core audience benefits from only the most fresh and new content. Yet, the older posts simply get buried away and can be lost forever. This is an enormous waste! It’s sad, but it’s true. Fewer people will dig through your pages and pages of blog posts in order to read them all. They may find something they love and get hooked, yet may not dig deep into your archive. Therefore, it just doesn’t make sense to spend hours upon hours researching and creating new post after new post only for it to fall off the front page and die. This isn’t just a matter of saving time and energy. It also makes logical sense! Which is better? A new post or an old one? The answer: an old one! Over time, your old content has had time to mature. It’s grown into its big boy shoes and has been seen, liked, linked to, shared, and gained more and more relevancy in organic search results over time. There’s no need to re-invent the wheel every time. There is plenty you can do to repurpose your hard work and benefit your new as well as long time readers! 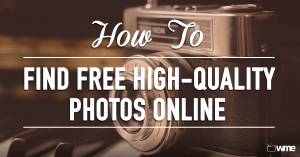 Our 8 favorite strategies are presented here for you to try with your own old content! But first, we need to take 3 steps to help us identify our top performing content. To begin, you’ll want to take an inventory of all your existing content. List all the posts on your blog and identify each one’s primary purpose for your business. Which category do they fit under? For example, is the post topic increasing sales, encouraging engagement, a news update, or is it a post that’s more in-depth such as a case study? For more on considering the types of posts you may have, check out our full list of blog post ideas over on our website! Which Posts Should I Update? Simply put, not all posts are weighed the same. By identifying which are key performers for your blog, you’ll be able to strategically decide which to repurpose and which to leave be for now. Gather a list of all your posts with titles and URLs. The simplest and most effective way of doing this is through your Google Analytics account. If you have analytics set up, find your way to this list via Behavior -> Site Content -> All Pages. If you don’t have analytics set up, check out our guided video tutorial on setting up your analytics account here! Here, you should be able to see a full list of your top performing posts! Google Analytics defaults to sorting each page’s relevancy by “Page Views” This is a good metric to go off of as it is the most basic data we’ll be needing for our purposes. You can also click features in the advanced area on the top right to view the data in more user-friendly charts and graphs. Google Analytics defaults to presenting this data to you from only the last 30 days. If your website or blog has been active for more than 30 days, you’ll want to view the data from a longer period of time to gather more clear insight into which posts are performing the best over time. To extend the date range, head to the top right corner where you’ll find the date range for the last 30 days listed. Click the down arrow to scroll through the months and select an earlier date from the calendars listed. Or simply type in the date in the first box that’s highlighted in blue. I would suggest selecting a the earliest date possible (Whenever you started your website or blog) or simply select January 1st of this year so you can gather a year to date metric. Lastly, scroll back to the top and click “Export” for a download of your full report into a spreadsheet of your choice. Note: Google Analytics will default to showing you your top 10 pages. You can scroll down to the bottom right and increase the number of pages shown to include your top 25, 50, 100, etc. This can be helpful data for other purposes, but for what we’re looking for, we’ll start out with our top 10. Select to Export as an Excel (XLSX) document or in Google sheets. Your download should begin automatically. Then open this download in Excel or Google Sheets and add any columns of additional information, such as which category each post falls under, social shares, or even the type of post. Fill in your new columns by scanning your website and identifying each posts category, number of shares (see below), and type for these 10 posts. 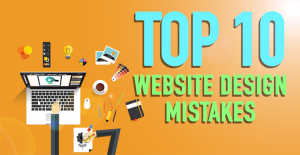 Note: Your number 1 result will most likely be your home page or landing page. There’s not much you can do to repurpose this content as it’s likely that it’s simply a gateway to the rest of your content. Therefore, this exercise really considers the top 9 performing posts. Note: Adding these extra columns is optional. You are able to gather quite a bit of helpful insight from “Page Views” alone. Now take a look at your list and select which posts are your top performers (not necessarily simply by page views). You’ll need to decide on which metrics to measure in order to prioritize your highest performing posts based on your specific style and audience. What’s considered a true conversion varies between website owners. Some may consider a conversion to be recognized upon the actual sale of an item or service or simply an email opt-in for a newsletter or lead magnet. This metric may be considered a high priority data point to some site owners. Whether your content is primarily visual through images or videos, or full of text in a storytelling style, for some, time on page may be valued higher than other metrics. For a quick explanation of time on page and average session duration metrics, see Google’s support article here! Bounce Rates and Exit Rates are crucial metrics to consider. 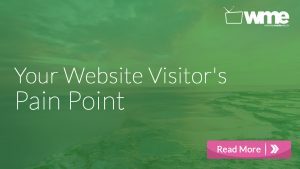 By understanding the percentage of visitors who navigate away from your site after viewing only one page or after their final page view, you’ll be better able to measure how valuable specific pieces of content are being perceived. For a quick explanation of exit rates vs bounce rates, view Google’s support article here! In order to gather your social shares, a few of the most common ways are to use a social share counter plugin that’s installed onto your WordPress site. Other tools that many choose to use are social media organizers such as Buffer or Hootsuite. In most cases you are able to gather incredible amounts of data from these very simply. They are powerful tools that enable you to download your reports in a number of formats. If you’re not already using a social sharing plugin or organizer tool and you don’t want to dig through each channel and tally everything up, there are a number of social share counting tools available. Here is a quick list of a few options to get you started! 1. Content Forest’s Social Share Checker. This one’s a great resource to get you started. Here, you’ll be able to drop the URLs of each page you’d like to check. You can paste up to 10 URLs at a time. The tool scans across Facebook, Twitter, Google+, Pinterest, LinkedIn, and StumbleUpon and tallies each one up for you. The name says it all! 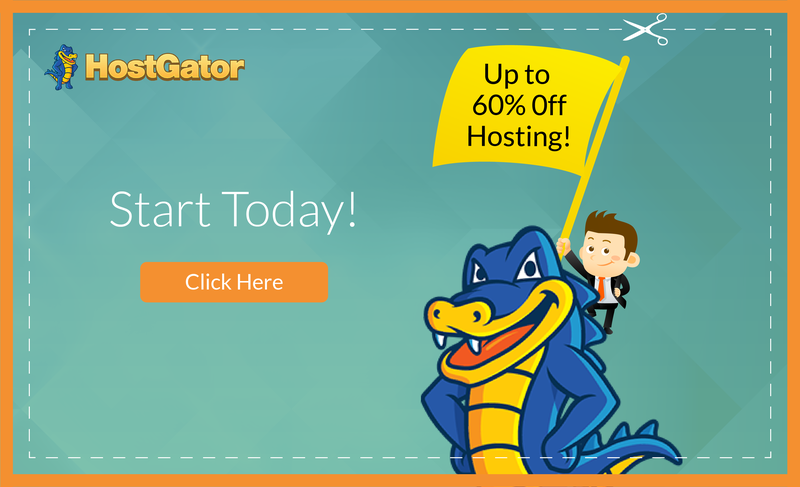 This tool’s sole purpose is to check social metrics for up to 10 URL’s at a time. The best aspect of this tool is that you are able to download the results in CSV/Excel format. A very handy tool for adding the results to your existing list! Moz is an incredible resource for many things and they’ve done it again with their bulk social checker tool! The advantage of this tool is that you are able to check up to 100 links at a time. The disadvantage, however, is that it only scans across Facebook, Twitter, and LinkedIn. Nevertheless, if these are the only channels you’re after, then you’re set! Note: If you want to copy and paste your list from Excel or Google Sheets into one of these site’s form fields, you’ll need to include your anchor domain name before the first forward slash. The list that Google Analytics provides you includes only the URI (or Suffixed path of the URL). To do this, you can visit each page listed and gather their specific URL. Or you can simply copy and paste your anchor domain before the first forward slash “/” found at the beginning of each URI in your list. This is somewhat tedious, but rather simple once you get the hang of it. Use your data that you’ve gathered in step 2 to decide which posts qualify for an update! Either create a new spreadsheet or highlight the ones in which you’d like to focus on first. Now you’re ready for the fun to start! Here’s the beauty of each strategy.. they’re are able to be implemented immediately and without much effort. Repurposing your old content can save you time, energy, and money. You’ll also help your audience dive deeper into your library of content. Another great benefit of directing traffic to your old content is that you have a much greater control over the what, when, and how of sharing on these platforms. There are a number of ways to start sending traffic to these older post and we’ve covered a few of our top strategies here. You can include links to your top performing posts in your email auto-responders. These emails are sent out anywhere from 1 to 3+ times a week to subscribers of a particular blog or website. They encourage readers to continue engaging with their website and offer valuable reasons to check out their latest offers. 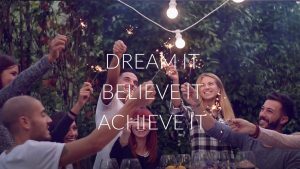 This is a great opportunity to include links to those top-performing posts! If you are unfamiliar with email marketing and auto-responders, we have dedicated a quick video tutorial that guides you through one of our favorite free and easy to use tools here! We’ll get you up and running in no time. Since social channels these days are so incredibly noisy, it’s easy for your content to get lost in the sea of articles out there. By re-sharing your old content, you’ll be more likely to reach more people. There are many who are skeptical of Facebook’s algorithm these days, for example. 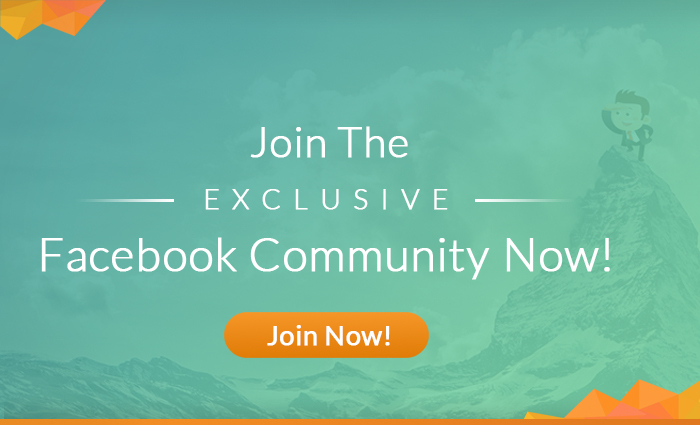 As a business page each post may actually reach only 1-10% of your fans. (Reach meaning it shows up in your audience’s newsfeed). Facebook filters your reach for a number of reasons, but primarily in order to ensure that their users have only the most relevant information shown to them. So, it wouldn’t hurt to share your content again as it is unlikely you will end up reaching the same 1-10% as before. You can re-share your old content, but don’t overdo it. Spread it out some and try narrowing your posts to different segmented audiences. Facebook allows for some creative targeting both paid and non-paid. And there are always options for paid advertising through different channels. Even $5 – $10 bucks a day can go a long way for reaching new audiences without needing to create new content. Linking from one of your posts to another is a fantastic way to utilize your old content. It also improves the user experience by providing even more value on certain topics! Try adopting this strategy as a habit when writing new posts. While writing on a certain subject, try to recall your previous posts that expand on what you’ve just written. This provides valuable depth for your readers while maintaining a smooth flow to the article. Note: These links can often be found at the end of paragraphs or even stand alone as their own paragraph with a simple transition such as, “For more information (about this topic) check out our full article here! . Additionally, you can simply highlight certain keywords as links within a sentence in your article. It will be obvious to your reader that they are able to click on the link in order to find out more information on that topic. Take the time to review your article before publishing it and look for opportunities to link to your other content. Add the appropriate transitions and URLs and you’re set. This may only take and additional 5 minutes, but you’ll be very happy with the results. Be sure to also make a point of linking to posts that are in your list of top performers. These have proven themselves over time and are some of your best go-to articles that cover specific topics. Have these in your pocket at all times ready to be inserted whenever the opportunity presents itself. This one is often overlooked, yet it’s incredibly important. As you write new content, you may find that your newest articles are now relevant resources for your old articles (assuming you can recall your previous work). This would provide even more value to your old articles! You’d be able to increase the relevancy of your old articles with new information, findings, reports, case studies, etc. Here’s a handy little trick: Instead of doing this long-handed, you can let Google do the work for you! Pull up Google and type in “site:(Insert Your URL Here) __________” (fill in the blank with your desired keyword). Google will search your entire website for the keywords identified. You can go down the list and identify which previous posts have those keywords included. Open each result and see if a link to your newest content is relevant, helpful, and necessary for the benefit of your audience who is reading the older post. Long tail keywords undoubtedly make up a large percentage of your overall traffic. These keywords tend to perform well as they mature over time. While you’ve probably attempted to select the best keywords the first time around, there are always unexpected changes that can occur in today’s world online. Your goal here is to make the most of your keyword opportunities in hopes to increase traffic in the smartest way possible. You can do this by analyzing basic data from your Google Webmaster Tools (Google Search Console) Account. If you don’t have a Google Webmaster Tools account and code installed on your site, you’ll want to do this right away for this strategy. Google Webmaster Tools (now known as Google Search Console) is essentially a tool that focuses on how search engines interact with your site. This differs from Google Analytics in that Google Analytics focuses primarily on how users interact with your site. To set up your Google Search Console or Webmaster Tools account, check out their page here! Note: For Google Search Console help, check out their help center here! Head to Search Traffic, then Search Analytics. In this section you will find results for the search activity. This activity details the keywords that people have used in order to find your website. Click “Download” at the bottom left in order to see the entire data sheet in an Excel doc or a Google spreadsheet. You’ll want to highlight the first row and select the option to filter the data in each area. We’re going to use this information in order to identify the top keywords that are not being targeted well. To do this, select the arrow next to the position column title. Then, select “filter by condition”, then the “is between” option. For your data points, input between 3 on the low end and 15 on the high end. You’ll select these numbers because you’ll want to find keywords that you’re ranking somewhat positively for, yet have plenty of room for improvement. Note: You would not want to carry out this exercise for keywords that you are currently ranking in the #1 or #2 spot because they are already performing rather well. Next, select the down arrow on “Impressions”, then select “filter by condition”. This time, select “greater than” from the menu. This narrows your results further by conditioning the data to focus on a higher amount of search queries for a specific keyword. This will make the best use of your time and efforts to reach the optimal amount of your audience. Start high, such as 200, then lower the amount until you have a few solid results. The results from these steps identify your most promising keywords to target. Finally, use these results to test out your search in Google. Test out your keywords by opening up an “Incognito Window” so that your browser doesn’t have any of your preferences saved. This way, Google will be better able to give an unbiased result. You’ll find a list of results here where you can check to see where your article ranks. Make note of what position your article is in currently. Implement these strategies listed here and track your article’s position over time. There are a few quick steps you can also begin taking now in order to help improve your ranking. Ensure that your target keyword or keyword phrase is listed in the title. Be sure to include the phrase in the article a handful of times. Also, be sure that the phrase appears in at least one or two of the subheadlines. Make the page more enticing. You can rewrite the title of the article to encourage more clicks. You can also improve the meta description and copy as appears on Google. See the Google SEO by Yoast plugin tutorial. Complete this same process for each keyword on the list. These quick tips just scratch the surface of this topic. Therefore, we have an entire video walkthrough tutorial dedicated to this subject. You can check it out here! Here is yet another area that you have complete control over. These are also areas where you’ll find quite a bit of traffic, so you’ll want to make the most of it. There are a couple options to consider. 1. Sidebar Navigation: A sidebar is incredibly valuable for most websites. There are certain sites that opt out of utilizing the sidebar due to their design and specific style. However, we’ve seen incredible results in these key areas. Sidebars are great for email opt-in forms, other advertising space, but also links to your other content. You have the option to elaborate further by adding menu tabs to the widget area. There are a few tabs you may commonly come across. Popular: Your most popular posts of all time. Recent: Your most recent posts. Other: These options include categories, styles, and even trending articles. You have quite a bit of freedom here as long as your theme, plugin, or widget supports it. 2. Menu bar Navigation: Nearly every blog or website has a main header menu bar for navigating to various areas of your site. This area has a high traffic volume and can be incredibly valuable if utilized properly. There are options to include links to certain articles such as your most popular content of all time. However, there are additional options to link to certain pages such as various lead magnets or lead generation styled articles. Also consider adding a menu bar item to link to your posts that fall within certain categories. 3. Below the Post: Lastly, linking to old content at the end of posts (or even within posts) can be incredibly useful. 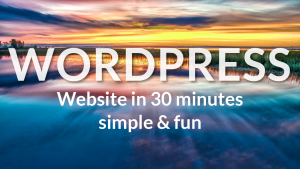 There are plenty of WordPress plugins that can display similar content for you. This way, you’ll link to highly targeted posts within a certain category. Your reader will be more likely to click on these similarly styled posts since they’ve already shown interest in that topic. Another strategy to consider is to go back and update old posts with more relevant information and newer case study examples. Giving a face-lift to old posts is a fantastic strategy to funnel more traffic to it and increase its value. Here are two options for you to consider for this strategy. Often times, our writing style, image, and design style may change. Blogs can go through rebranding or change over time to accommodate different audiences. Therefore, your old content may seem somewhat distant or unnatural compared to the rest of your site and latest content. You may find opportunity to expand certain points that were made based on learning a new area within a certain tool or an entire industry for example. None of these updates need to be incredibly labor intensive. Rather, you can supplement the article with new information and remove areas that are no longer as relevant. Another option you have is to create an entirely new post that coincides with the same topic as your old post. Oftentimes we see articles that contain the year in their title. For example, best SEO strategies for 2012. That article probably performed well in 2012 as that is a great strategy for keyword ranking. However, the performance probably dropped off the radar completely come 2013. Rather than republishing that article for the new year, consider creating an entirely new article without dates that’s truly evergreen. Evergreen, meaning it’s relevant no matter what year. This is a great strategy to consider when repurposing old content because you don’t need to reinvent the wheel. You’re able to use the information from your old post to cut down on content creation time and costs for the new post. One final strategy you may consider for repurposing old content is to split or combine old articles. If you have a long-form hero article (around 2,000 words or more), you have the option to split this article into smaller bite sized pieces around 500 – 800 words. You can then add in proper introductory and concluding paragraphs and all necessary transitions for each article to be able to stand alone. This works particularly well with popular long form post styles such as numbered lists and step-by-step guides. You’ll be able to split your list of top 5 tools into 5 pieces that laser focus on each one individually. You can then link to “step 2” of your now “5 part series” at the end of your first article. Tip: Use these micro pieces of content to run a campaign around your new 5 part series. You can send traffic to these articles through your Email marketing or across your social communities. This one’s a little more difficult, but can be done well as long as you have various old articles that cover a similar topic. For example, if you cover top content marketing strategies, blog post ideas, blog post titles, and email marketing, then wrap them all up in an Ultimate A-Z Content Marketing Guide. You can apply this to any topic within a certain category and create an ultimate piece of “hero” content. Just be sure that each topic segues well into the other with proper transitions. Also ensure that your new article contains a common narrative throughout the entire piece. Old blog posts are incredibly important. And unfortunately, due to the dynamic nature of how a blog functions, these old posts often times fall off the radar once they’re off your blog’s first page. Don’t let this happen to you! Hopefully you’ve found these 8 new strategies to breathe life into your old content. Even by implementing one or two of these strategies, you’ll soon start to drive traffic to these posts, increasing conversions and growing your audience even further. Not too shabby! 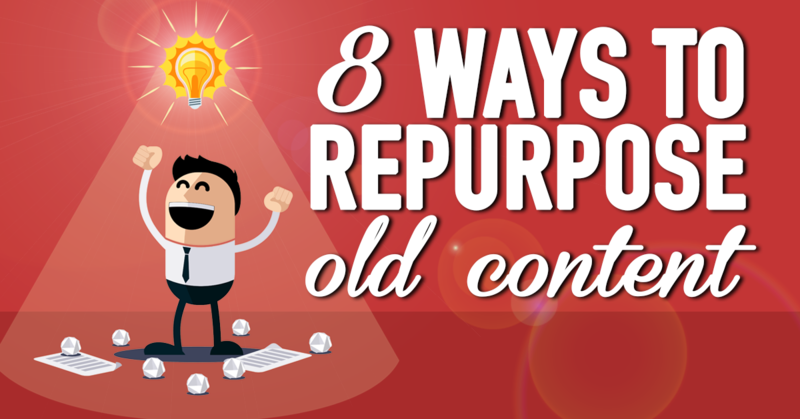 Which strategies have you seen as helpful for repurposing your old content? Which of these 8 do you plan on implementing today? We’d love to hear about them in the comments section!